Director’s Vision & Message to the incoming students, Mr Jannat Shah vision for IIM Udaipur in making it not only one of the top Indian B-Schools but aspiring to take its place among the top B-Schools in the world. The values of collegiality and accessibility are seen all through the campus in interaction with the seniors and professors. The infrastructure for the 300-acre campus is still a work in progress. After coming to the campus, I could appreciate the serene beauty of the campus set among the Aravalli Hills. Every facility provided for the student benefit be it the academic labs, residences, mess, sports ground all are designed to provide a healthy and comfortable environment for the 2 years stay for the students. The plethora of clubs and committees that the campus has to offer provides a great learning experience for students and developing various skills in the process. All the clubs and committees are student-driven which provides a platform to implement new ideas and thus helping the student community in general. The student-driven culture can be seen ranging from deciding the food menu in the mess to the organizing of the cultural fest in the college. This also gives a great opportunity to bond for the junior batch to bond with the senior batches. IIM Udaipur is built on its core values of Excellence, Integrity, Transparency, Mutual Respect, Inclusion, Ecological Sustainability. The campus culture is built on these values. Academic Excellence is given the utmost importance with the world-class faculty and the energetic classroom discussions among the peers. Mutual Respect is ingrained in the batch of students to show respect to the staff, teachers which will help us later on in our corporate careers as well. Ecological sustainability is something which makes our campus unique, recently only we had a massive plantation drive of planting 500 plants on the campus. 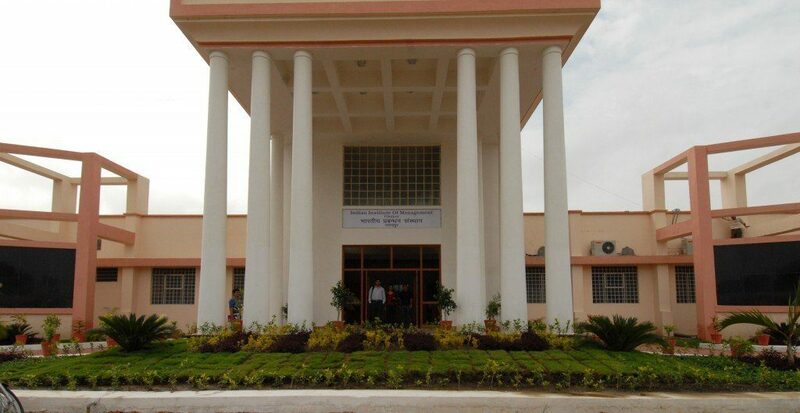 The following are only some of the reasons which make IIM Udaipur unique, you can get to know many other things once you enter the gates of IIM Udaipur. Which ABG company would he/she wants to work for and why? The ABG Company I would like to join is Idea Cellular Limited. Idea is one of the top telecommunication player in the Indian telecom industry and with the approved merger with Vodafone will create India’s biggest phone company with a combined user base of about 400 million and 41% revenue market share. Having had a prior experience of working at another telecom giant in Airtel under its prestigious YTL (Young Technical Leader) program, I worked on several successful projects in the Orissa circle and the head office at Gurgaon which helped me know about the working of the various technologies and from my MBA, I would like to link the business aspects as well as the technical aspects to be the part of a company which will be the market leader in the industry and face various challenges along the way.